New York, New York - August 28, 2013 -- The Radio Advertising Bureau (RAB), in conjunction with Broadcast Music, Inc. ® (BMI)® , and the Mentoring and Inspiring Women in Radio Group (MIW), is pleased to announce the successful completion of the Sixth Annual Rising Through the Ranks, Women in Radio Management & Leadership Training Program. Twenty scholarship recipients were welcomed at the BMI offices in Nashville, TN., August 21-22, 2013. Scholarship recipients were selected and awarded by the three organizations. The two-day course emphasized the specific needs of women in management roles, including enhancing their overall management knowledge and skills. Courses were led by Susan Davenport Austin, Chairman, BMI Board of Directors/ Vice Chairman, Sheridan Broadcasting Corporation / President, Sheridan Gospel Network; Lynn Anderson, CEO, Integrated Media Solutions Group; Beverlee Brannigan, VP of Radio Programming, Journal Broadcast Group; Sheena Calton, services coordinator, RAB; Lindsay Cerajewski, General Sales Manager, CBS Chicago; Erica Farber, President and CEO, RAB; Brandeis C. Hall, VP of Professional Development, RAB; Carol Hanley, EVP, Chief Sales & Marketing Officer, Arbitron; Weezie Kramer, Station Group President, Entercom Communications; Katerina Perez, VP sales, Seattle, Clear Channel; Kay Olin, partner, Olin & Associates / Chair of Alliance for Women in Radio; Danielle Outlaw, VP, Sales, Neuhoff Media; Dan Spears, VP, Licensing, BMI; Bud Walters, President & Owner, The Cromwell Group; Diane Warren, Founder, Bounceology. The customized curriculum included practical and real world applications that managers can put to use in the workplace immediately, including lessons on problem solving, managing team personalities, building one's personal brand, and real world radio dynamics. "It was such a wonderful experience for me," noted Scotti Vaughan, senior account executive, Cox Media Group. 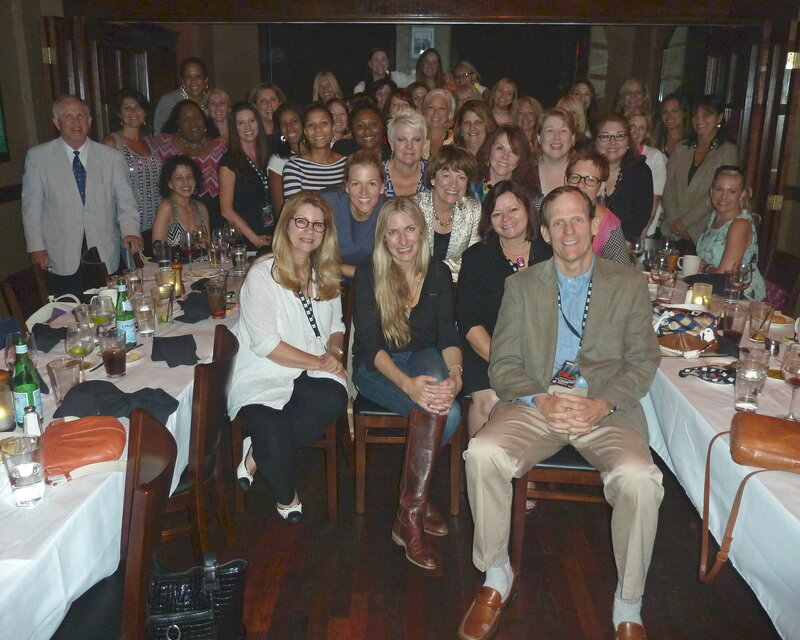 "I feel totally bulletproof after spending two days with all of these amazing women." "The future of our industry is in good hands with this year's class of scholarship recipients," said Erica Farber, President and CEO, Radio Advertising Bureau. "With the help of the RAB, BMI and MIW, these women are poised to lead their teams and our business. They are energized, empowered, and ready to implement the lessons learned at this seminar." "With in-depth information, interaction with industry leaders, and best practice teachings, graduates of the 2013 Women in Radio Management & Leadership Training Seminar will have a powerful impact on the industry in the years to follow," noted Michael Steinberg, Senior Vice President of Licensing at BMI. "BMI is very proud to partner with the RAB and the MIW to offer the Rising Through the Ranks program." "The Rising Through the Ranks seminar is the epitome of Mentoring and Inspiring Women in Radio's mission," noted Heidi Raphael, Vice President, Corporate Communication, Greater Media and spokesperson on behalf of the MIW Group. "We are excited to welcome these 20 bright and inspired women into the MIW network." Amy Berry Ham Broadcasting, Inc.
Wendy Tohill Neuhoff Communications, Inc.
Jane Wheeler Grand Prairie Radio, Ltd.
Broadcast Music, Inc.® (BMI®) is a global leader in music rights management, serving as an advocate for the value of music. BMI represents the public performance rights in more than 7.5 million musical works created and owned by more than 600,000 songwriters, composers, and music publishers. The Company negotiates music license agreements and distributes the fees it generates as royalties to its affiliated writers and publishers when their songs are performed in public. In 1939, BMI created a groundbreaking open-door policy becoming the only performing rights organization to welcome and represent the creators of blues, jazz, country, and American roots music. Today, the musical compositions in BMI's repertoire, from chart toppers to perennial favorites span all genres of music and are consistently among the most-performed hits of the year. For additional information and the latest BMI news, visit www.bmi.com, follow us on Twitter @BMI or stay connected through Broadcast Music Inc. (BMI) Facebook page.